Who Were You and How Did you Die in a Past Cat Life? Are you curious about who you may have been and how did you die in a past cat life? Be careful though, you know curiosity killed the cat! 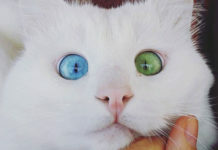 Previous articleMeet the most Famous Internet Cats! Next articleCats Caught Picking their Noses… with their Tongues!